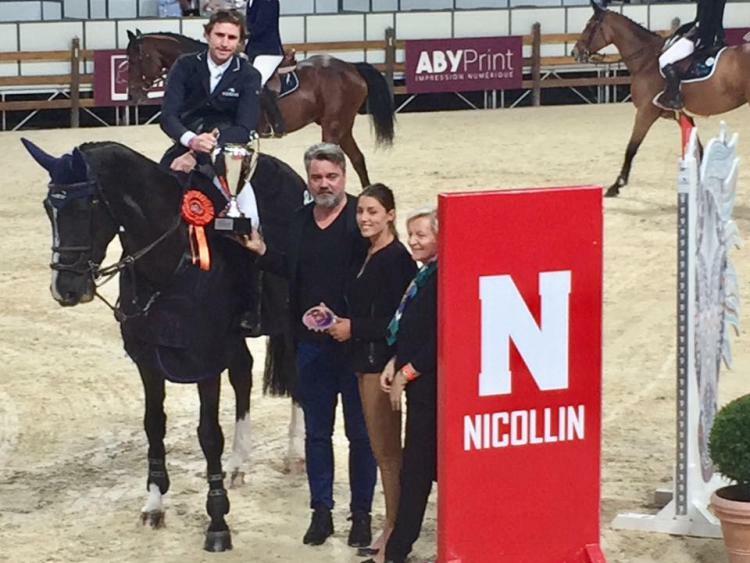 Home Best Jumping Media Press Release Darragh Kenny the best of the Nicollin Grand Prix. Darragh Kenny the best of the Nicollin Grand Prix. An effective Darragh Kenny completed the week of CSI3* Jumping International of Montpellier Occitanie 2017 as the best, winning the Nicollin Grand Prix. Yesterday winner and adding today’s third victory of the week, Darragh Kenny was simply the best of the week and the best of €61,800 Nicollin Grand Prix to lead the jump-off round with 7 classified riders. The course designed by Jean-Francouis Morand of France observed the passage of 49 pairs for the regular round, but it was in the jump-off where Darragh Kenny with the 11-year-old gelding Go Easy de Muze (Vigo d’Arsouilles x For Pleasure) secured 80 World Ranking Points with its time of 40.92 seconds. Completing three double clear rounds in the Grand Prix, the second place went to Guillaume Batillat of France with the 9-year-old gelding Denitha (Vingino x Goodwill), recording a time of 41.78 seconds and last double clear round was for also home representative Axel van Colen with the 9-year-old mare Silhouette Island (Stakkatol (de) Old x Balou du Rouet) in 43.83 seconds. The French also took fourth and fifth place, getting a fasted round in fourth place Julien Gonin in 40.97 seconds, but knocked down a pole with the 11-year-old gelding Soleil de Cornu CH (Qredo de Paulstra x Le Tot de Semilly), while Aldrich Cheronnet with the 9-year-old gelding Uris de La Roque (Capital x Quick Star) culminated in 4 fouls and 43.23 seconds. The only representative of the Pan American Ranking was Kerry Mc Cahill of the United States of America, not achieving World Ranking Points for her complicated 24 fouls round with the 12-year-old stallion Vatson Sitte (Cardento x Chellano Z), finishing in 39th place. For Darragh Kenny the week ended with a good accumulation of World Ranking Points, with which the next measurement of the Ranking will be leading him to surely climb good positions. Previous articleLaura Renwick unbeatable at the Costa del Sol Tour. Next articleJerome Dubbeldam its titled at the Grand Prix St Lo Agglomeration.